Because paper lighting is a perennial favorite around here, today I'm showcasing a few shops that recently caught my attention. I'm pretty positive you'll enjoy seeing the variety of styles these clever makers create. NANA ZOOLAN is an Etsy shop owned by Anna and Bryan in Victoria, BC, Canada. The couple has always enjoyed crafting together and while preparing for their wedding, they developed quite a few new handmade items. As the creations proved to be popular with guests, Anna and Bryan realized they were well on their way to opening a shop. 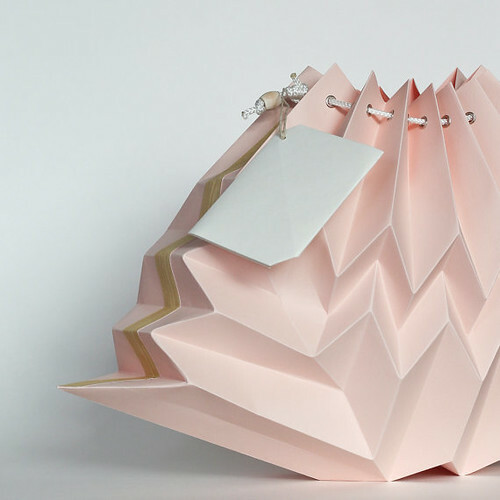 This blush colored Origami Cloud lampshade is so pretty! It seems to glow from within when lit, but is just as eye-catching in the daytime. 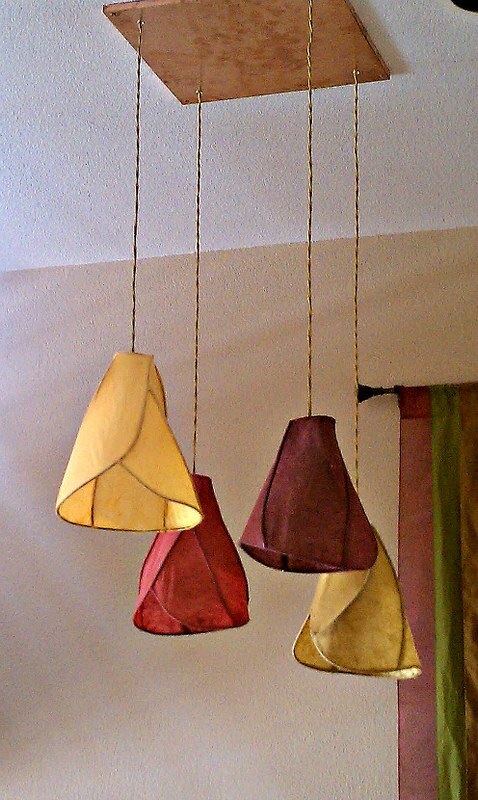 Ann and Bryan fold their lamp shades from high quality, acid-free paper that will not fade for years. 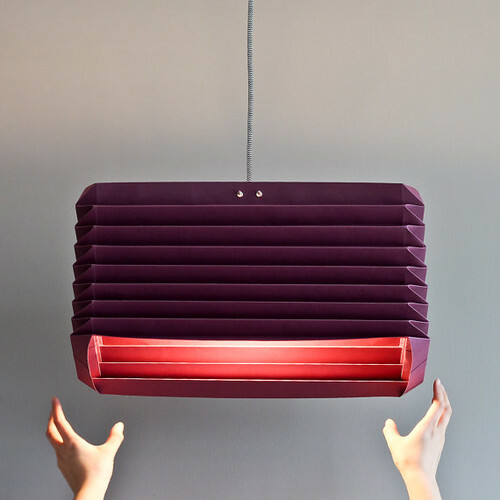 Light shines from the top and bottom of this Akordion shade. If a light color paper is selected, the lamp will glow through the sides as well. Watch for an upcoming giveaway from NANA ZOOLAN - it is an exciting one! The shop is on Instagram and Facebook. 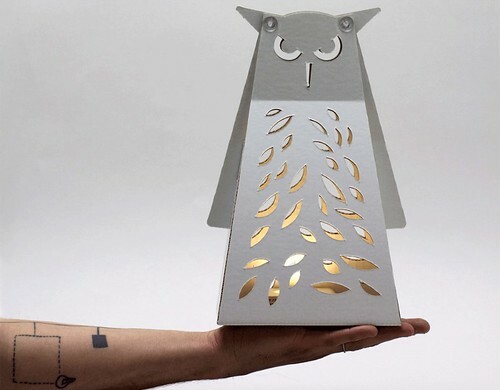 Cartunia Design in Italy is the brainchild of architect Mario Mazzocchi who has created three sets of stylishly whimsical lamps: Zoo, Origami, and Mokka. 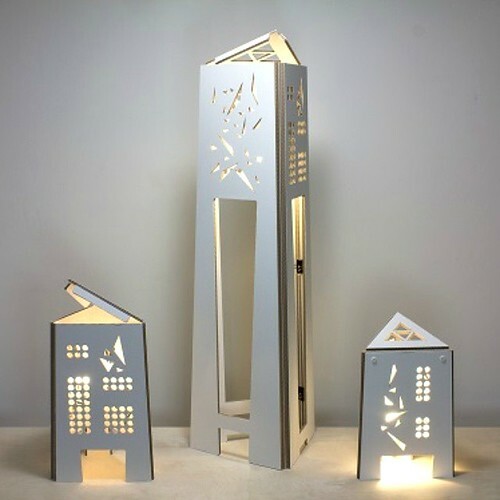 Lightweight but sturdy, Cartunia LED cardboard lamp are eco-friendly and recyclable. Made from a mixture of paper and corn starch glue, then coated with a layer of moisture-resistant polypropylene, this special material is called WOODWAVE. The lights feature a rechargeable base that provides an eight hour charge. Ideal for a child's room and travel, the electrical parts are placed safely inside the lamp structure and do not produce heat. At the present time, Cartunia lamps can be purchased from buru-buru; the company is striving to become internationally recognized. Cartunia Design is on Instagram and Facebook. Khalima Lights is owned by Lindsay and Robert MacLeod on Wadmalaw Island, not far from Charleston, South Carolina. 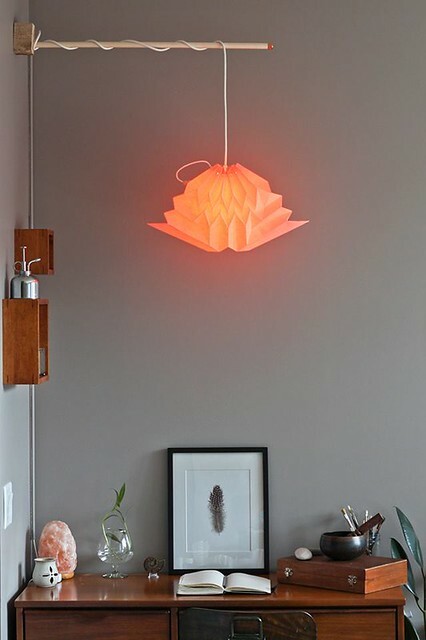 I love the graceful shape and colors of the Camellia pendant lamps, above. 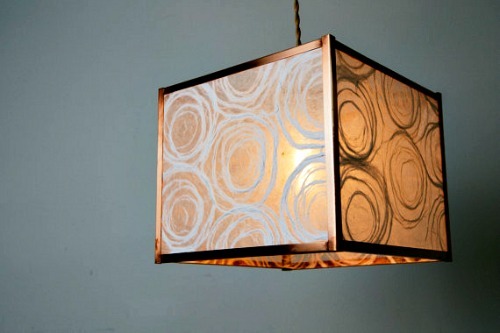 The swirl pattern in the handmade paper of the geometric drum shade, below, is very modern. 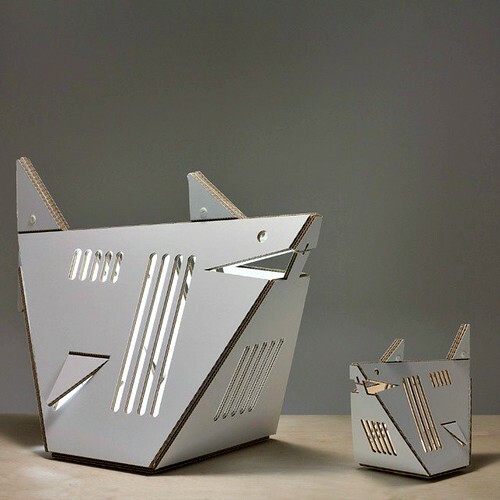 The professionally trained coppersmith duo design and build a wonderful variety of mostly custom art lamps for homes, restaurants, businesses and even the Oscars(!) in their workshop, just steps away from home. They start with raw materials of the highest quality - mainly copper, brass, and handmade paper - and create each lamp by hand, one at a time. 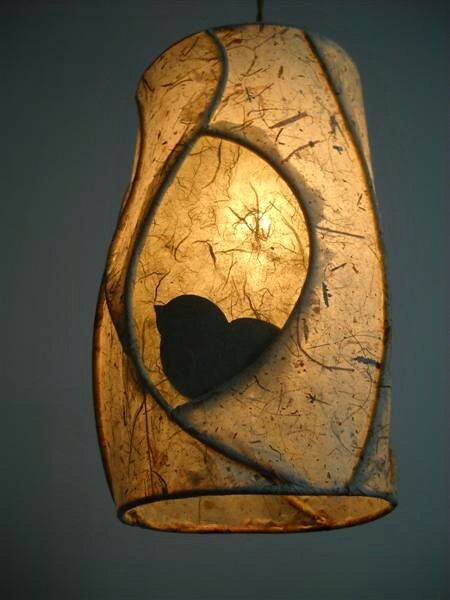 The lovely shape of this copper and banana paper pendant lamp was inspired by birch trees and provides the perfect home for a bird silhouette. Khalima Lights is on Etsy, Facebook and Twitter.